Like so many skills taught in Canucks Autism Network (CAN) programs, the ability to ride a bike can open up a range of opportunities for a child. Whether it’s riding around the neighbourhood with your family, exploring the sea wall with friends or cycling to stay fit, biking can play an important part in an active and social lifestyle. But before a child can begin to enjoy a lifetime of experiences on their bike, they are faced with that initial hurdle of learning to ride. Coordinating one foot to push in front of the other. Finding that perfect centre of gravity. Turning the handlebars to avoid obstacles. All while trying to follow verbal instructions and trying not to fall down. For a child with autism faced with deficits in social communication and behavior, as well as potential motor difficulties, it can be an overwhelming experience. 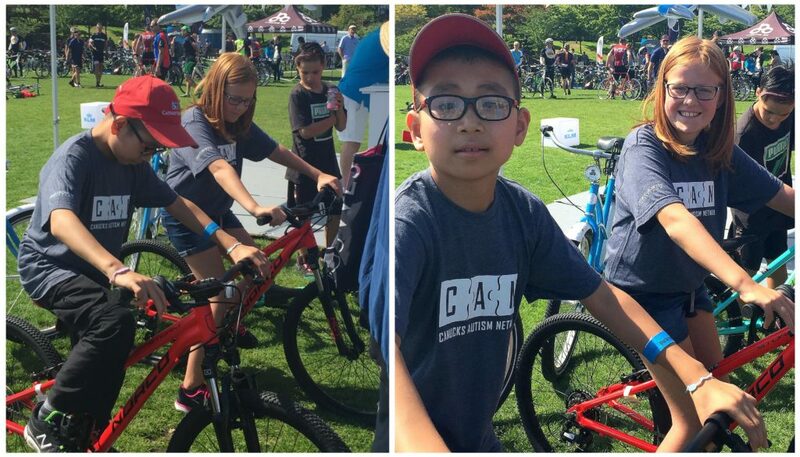 Earlier this month, we invited CAN families to share their child’s experience with biking in exchange for a chance to win one of two Norco bikes. 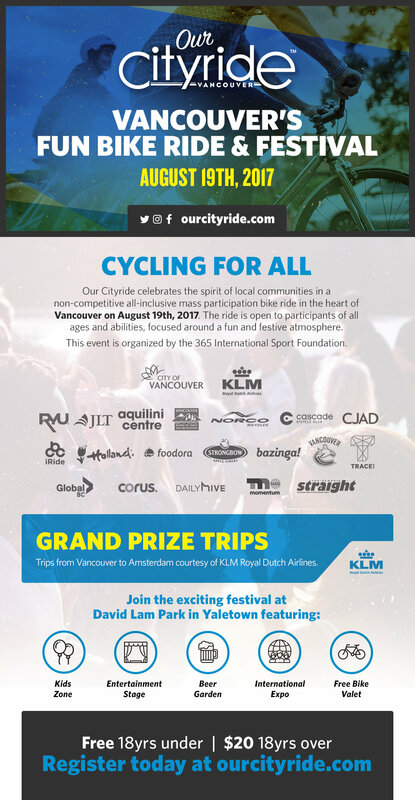 With huge thanks to the 365 International Sport Foundation, in partnership with KLM Royal Dutch Airlines, the two bikes were generously donated in anticipation of Our Cityride on Saturday, August 19 – a community bike ride in Vancouver that CAN is excited to be a charity partner for. Among the many entries, CAN parent Fion Lo recounted the barriers that her 9-year-old son faced when first trying to ride a bike at home. It wasn’t until Fion enrolled her son in CAN’s summer bike program that she began to see progress. What started at CAN has gradually impacted Marcus’ experiences in other areas of his life. After filtering through countless stories like Fion’s, the Canucks Autism Network, 365 International Sport Foundation and KLM Royal Dutch Airlines are thrilled to be providing Marcus with a brand new Norco bike! For a child to take skills learned at CAN into the community is what our programs are all about. We encourage anyone within the CAN family to come out to Our Cityride in Vancouver on Saturday, August 19! Join thousands for a scenic community bike ride through Downtown or enjoy the festival grounds at David Lam Park. Visit ourcityride.com for more details! Marcus receiving his new bike, alongside the contest’s second winner, Avery, at Our Cityride on August 19, 2017.